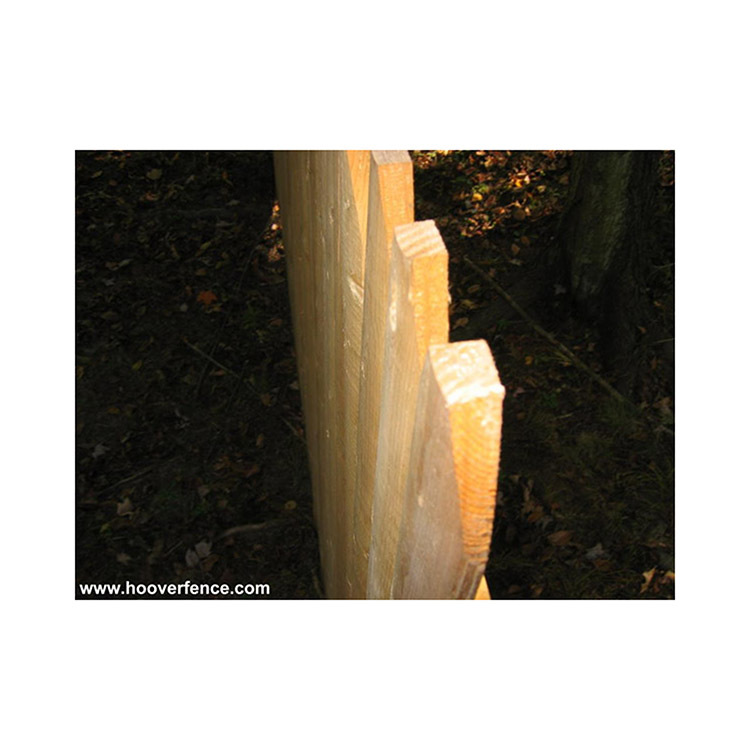 Spruce, as well as other species of wood such as pine and fir, belong to the grouping of woods known as whitewoods. 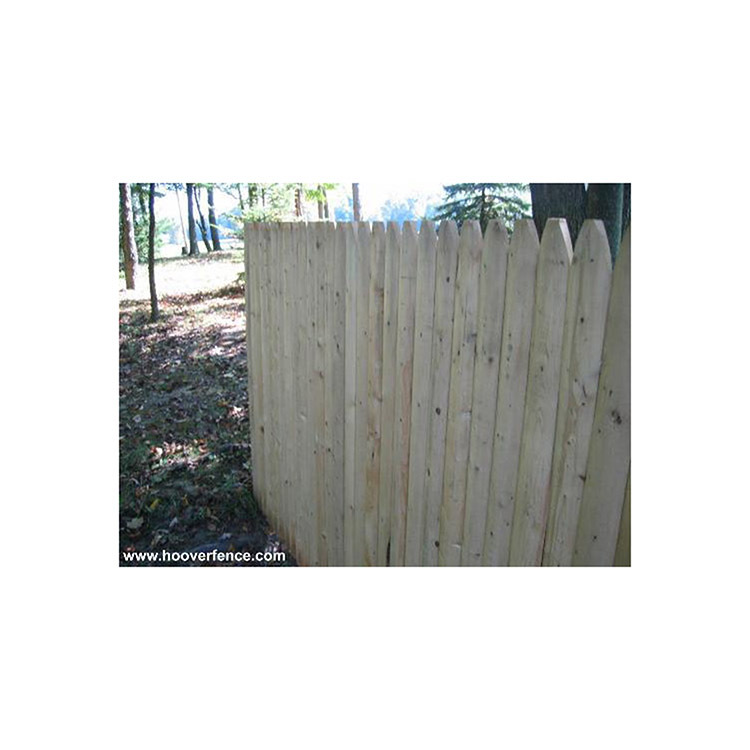 This wood, when used in outdoor applications such as fencing is white in appearance when first installed. 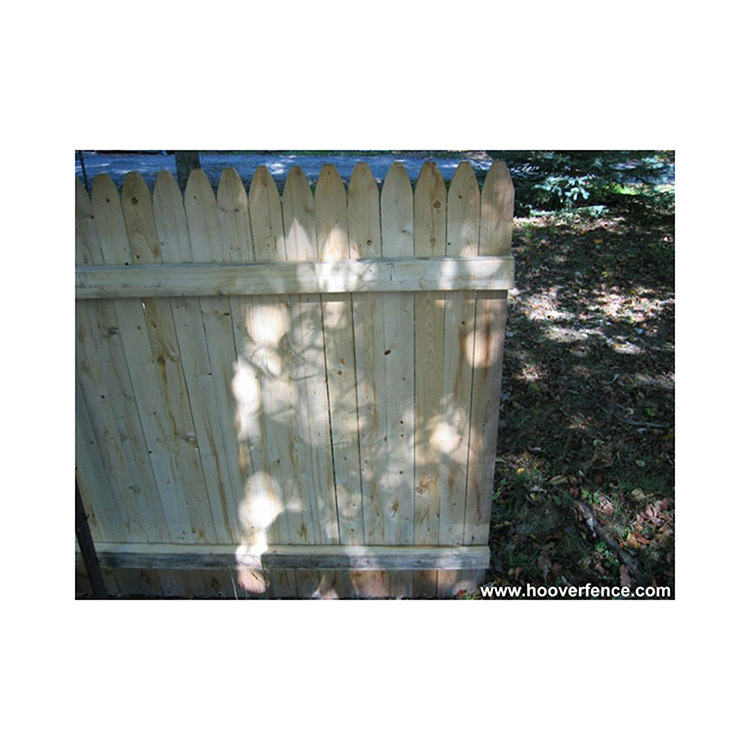 Whitewoods readily accept stain or paint, but left untreated will weather to a silvery gray. 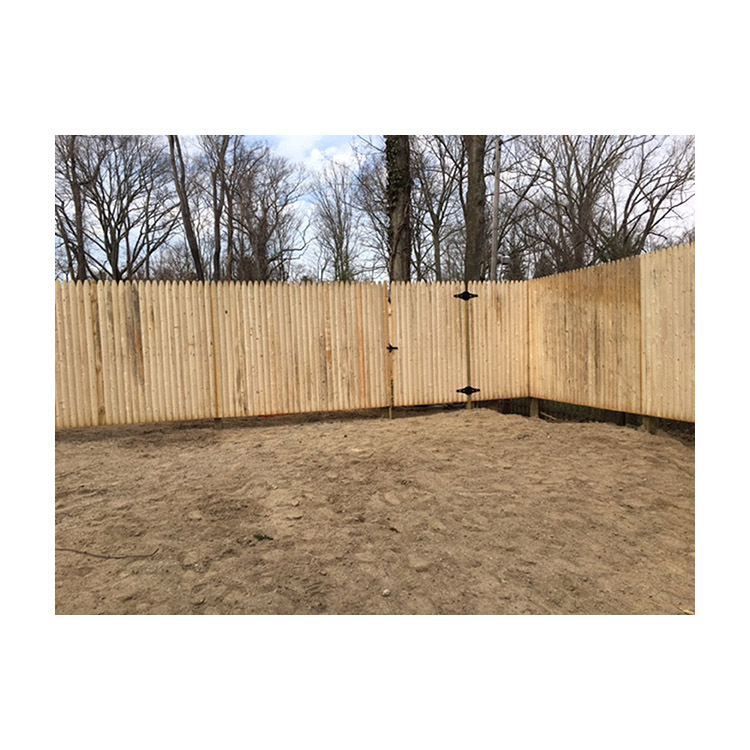 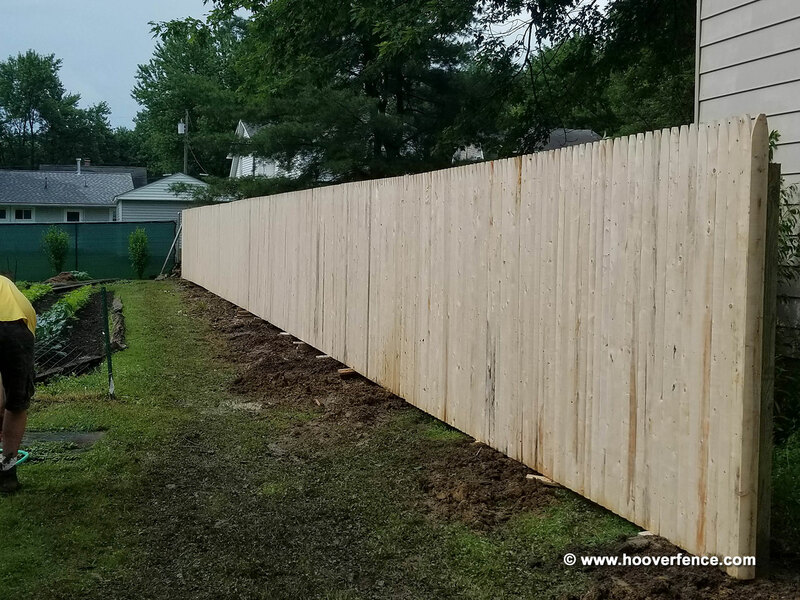 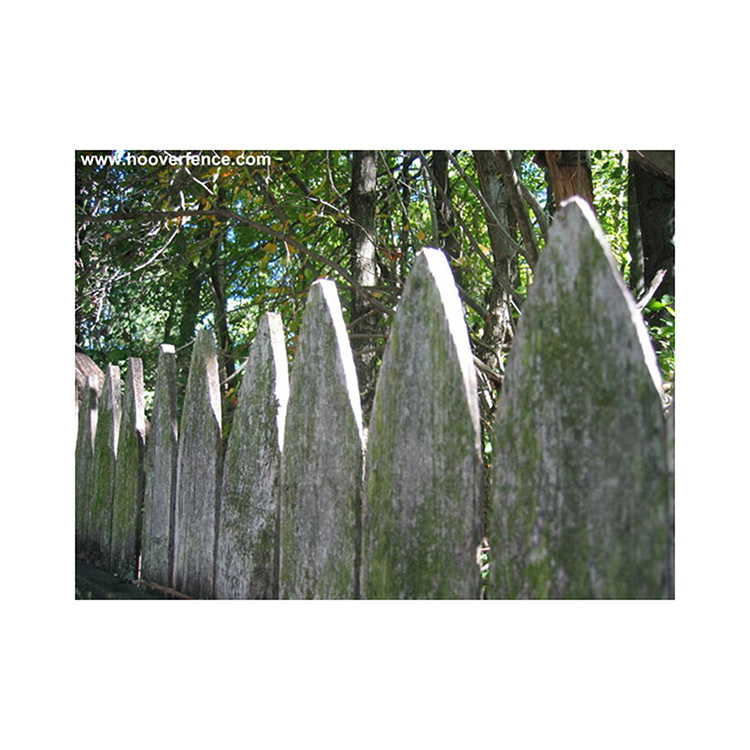 Hoover Fence Co. highly recommends treating these spruce stockade fence panels to help prevent warping, cracking, and other general deterioration. 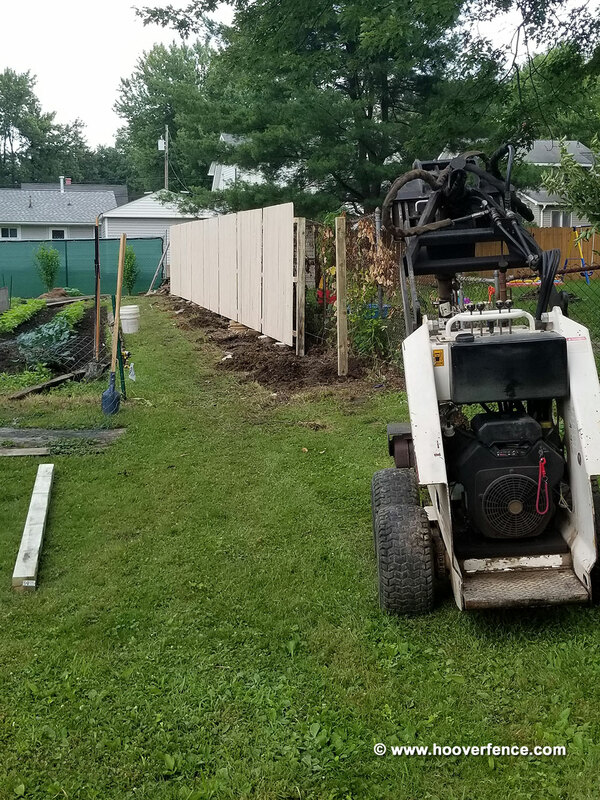 Fence panels should be installed (with galvanized, aluminum, or stainless steel screws or nails) on treated fence posts or steel posts set in concrete footers. 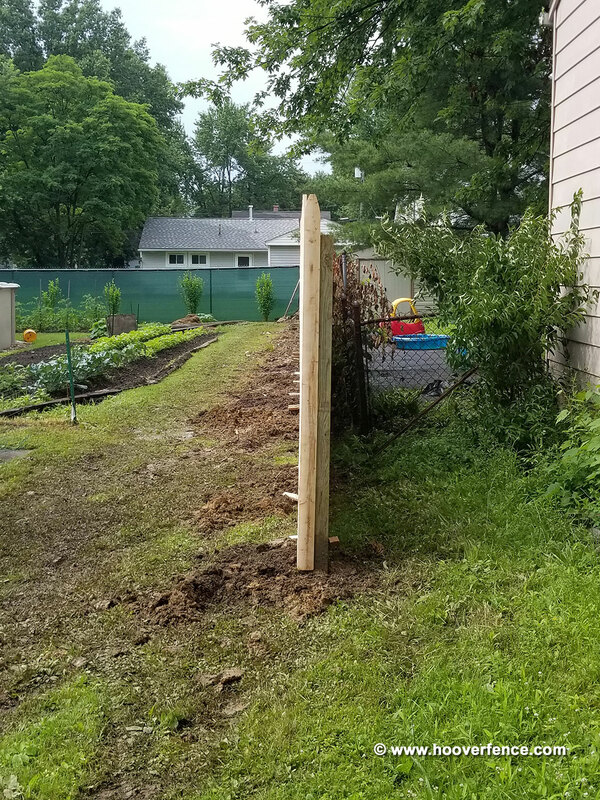 The depth and diameter of post holes and concrete footers are dependent on local building practices. 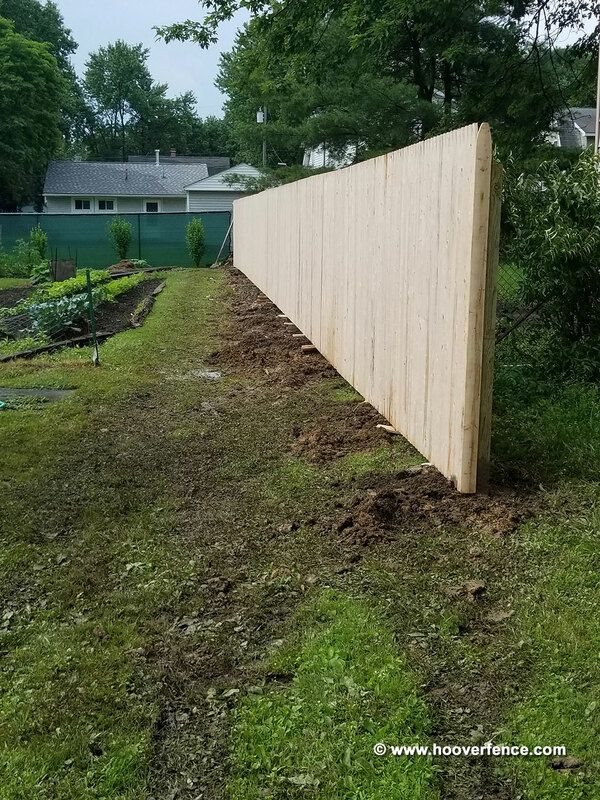 Depth of footer should exceed local frost level. 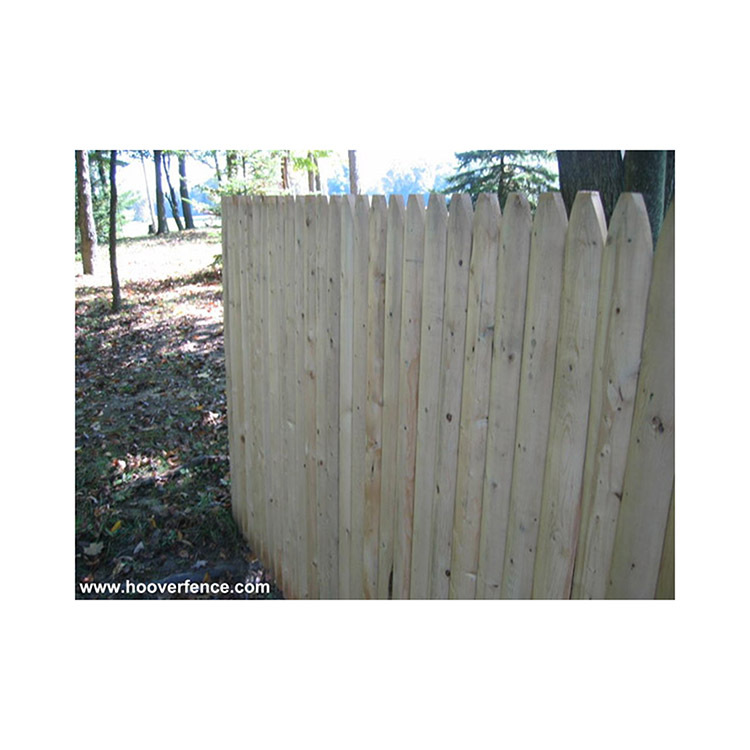 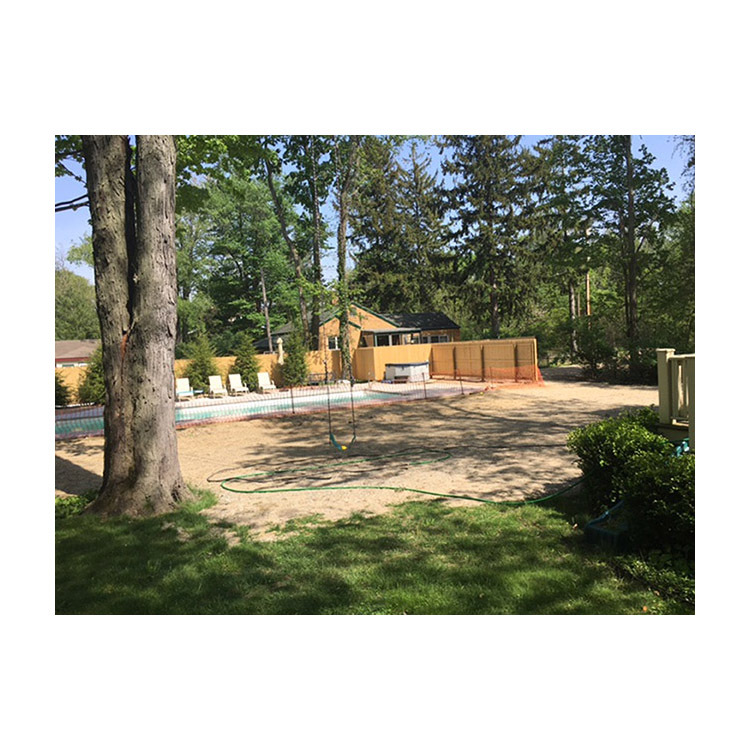 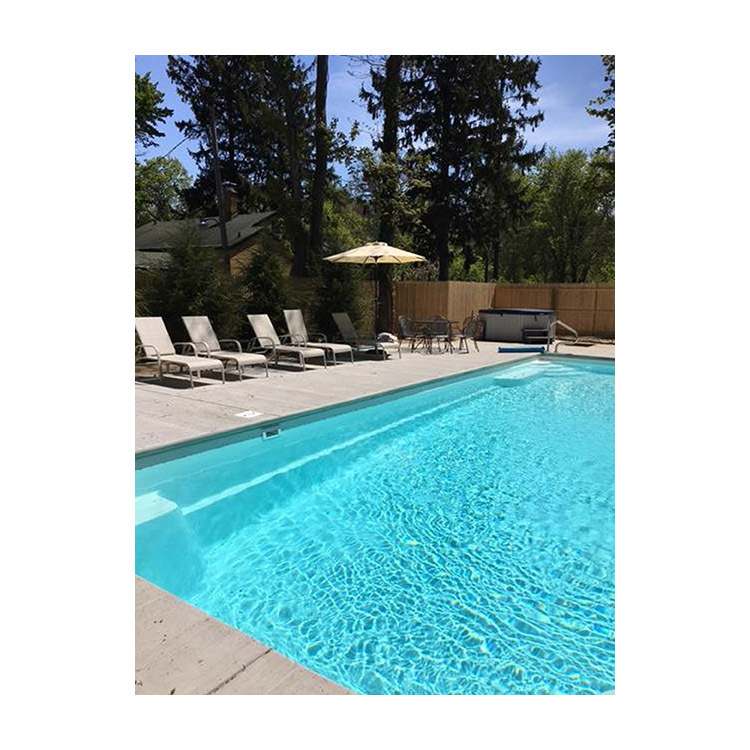 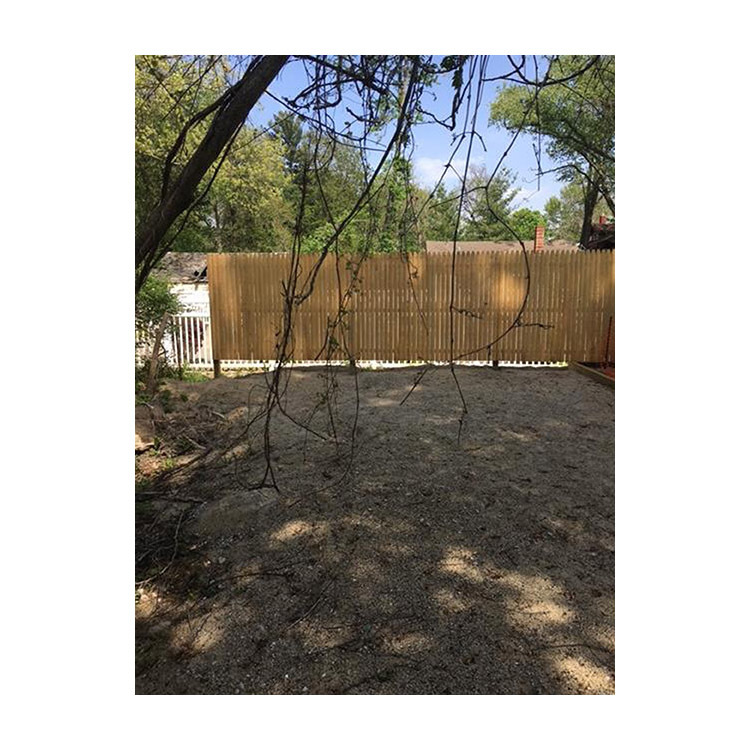 Advantages - Wood privacy fences define boundaries, provide security, and help protect against natural elements such as snow and wind. 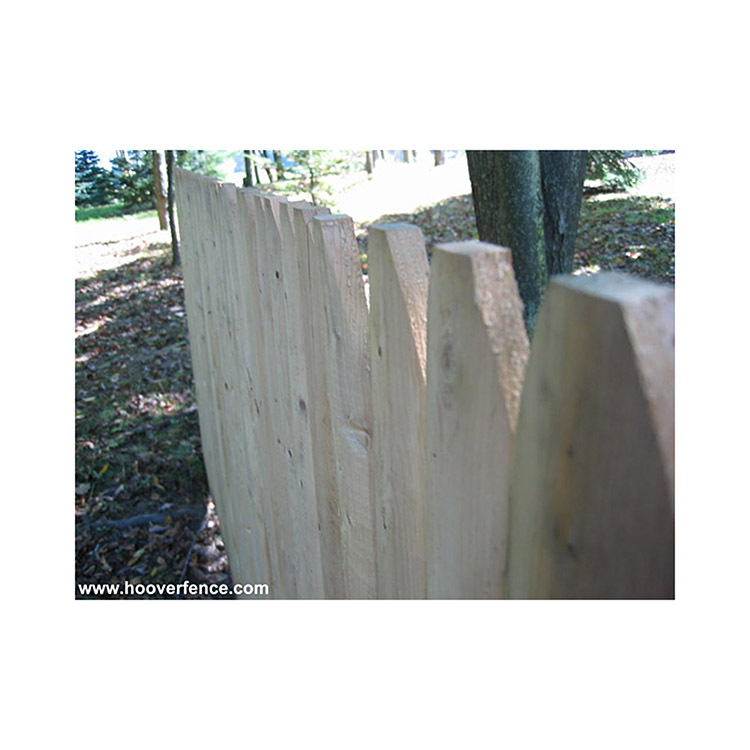 Spruce stockade fence panels ship preassembled making installation fast, easy, and economical for an average fence builder. 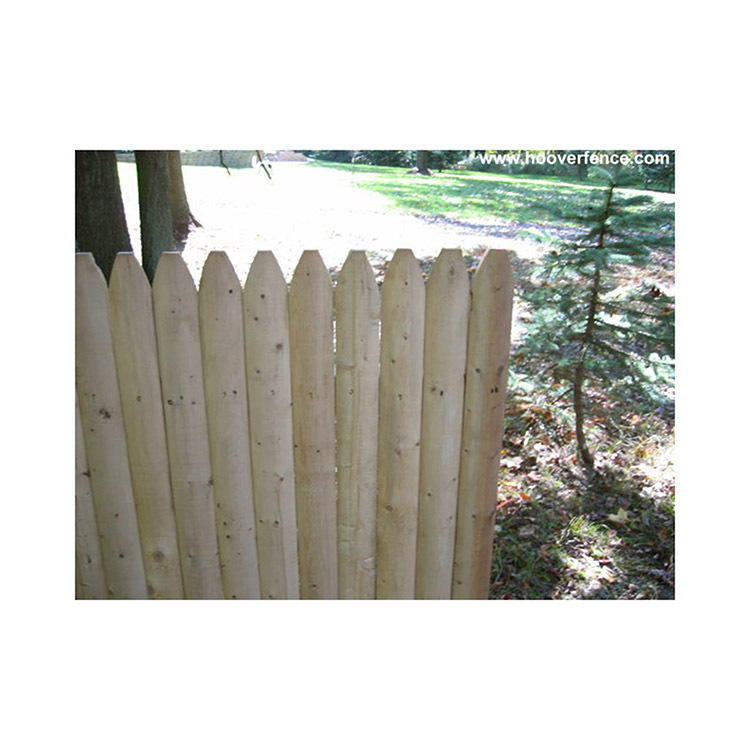 Spruce picket fences are one of the most economical privacy fences available and may be painted or stained to match buildings and houses. 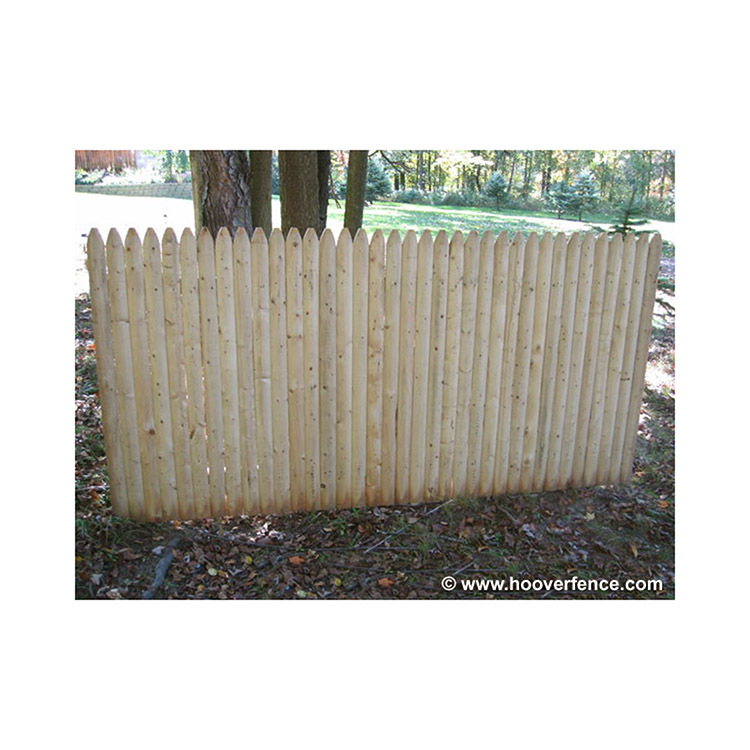 Preassembled fence panels are easy to cut down in size to fit lot characteristics. 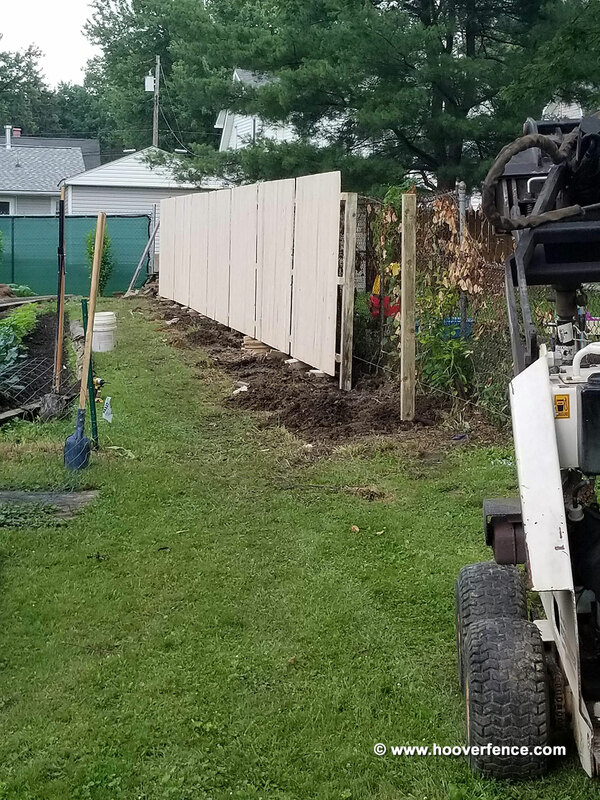 Gates may be made out of sections of fence. 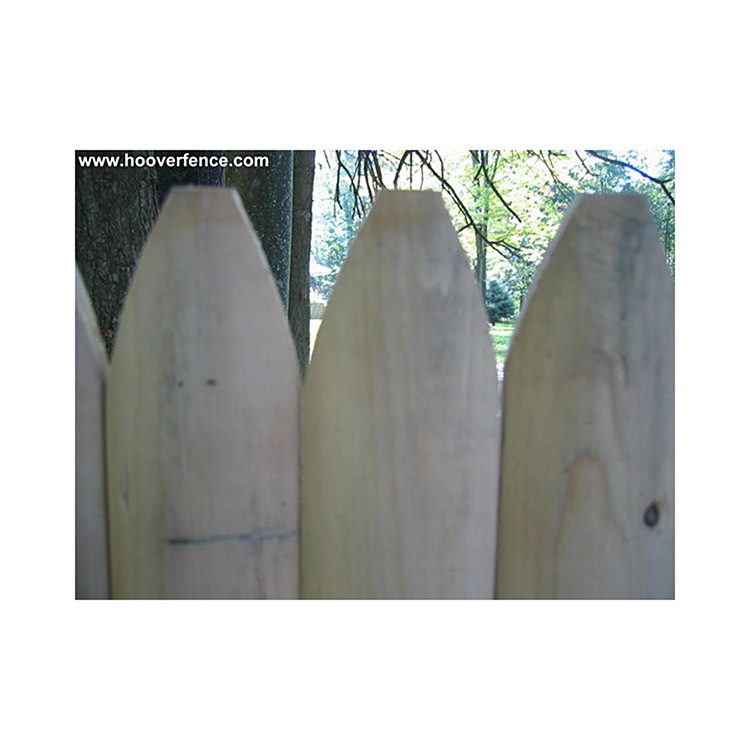 Disadvantages - Fence requires a preservative for the longest-lasting performance, however many installations are never treated. 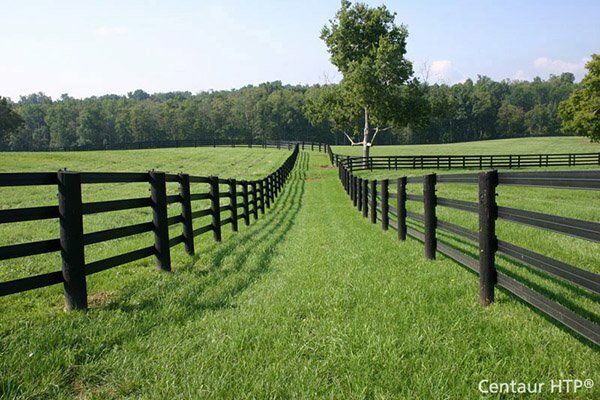 Horizontal Rail Dimensions: 1-1/2" x 2-1/2"